900 LUMEN LED Flashlight-Super bright, superior range MCE LED flashlight. 31.5MM LENS offers the super bright and super range lighting. 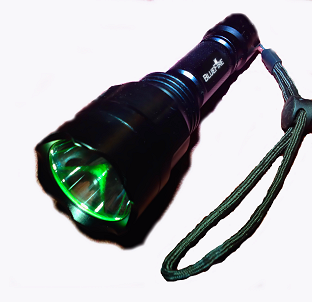 XM-L T6 Lumens: 900 Product size: 1 3/4" x 5 3/4"
Total Length: 5 3/4" Body diameter: 1" Head diameter: 1 3/4"
SOS Reminder! --------Do not point the flashlight into the eyes. The super brightness may cause Temporary ablepsia or blindness.